It would appear winter has hit here in Ireland, it’s frosty and below freezing here this morning. As I went to record the video for the Abys Cowl I couldn’t help pulling it over my head and snuggling in deep. I can’t quite describe in words just how warm and satisfying it was….you’ll just have to knit one for yourself! 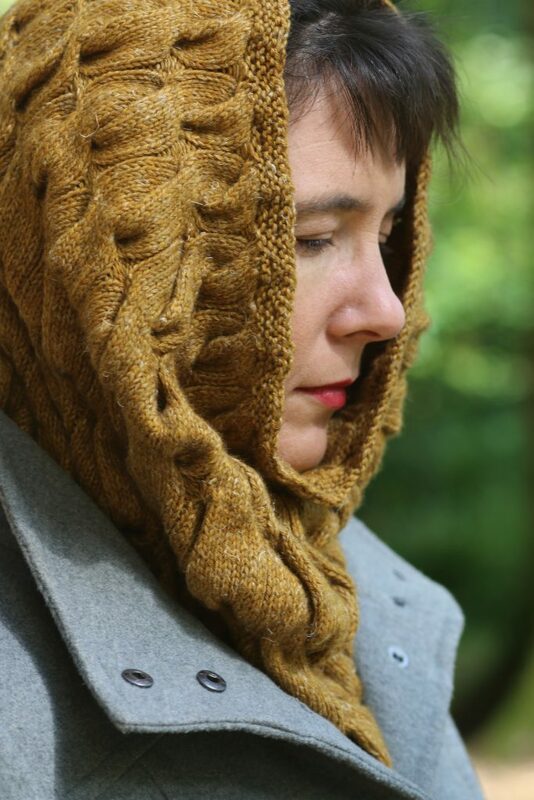 This is the fourth pattern from the Nua Collection Volume 2; it’s a deep, heavily cabled, cowl that just begs to be worn. Remember that this is your last chance to get the 15% Nua yarn discount code! All purchase of the collection (print and digital) before the final pattern is released will get a discount code on the last page of the pattern. In this photo you can see the cable details clearly; they are big fat cables that move from the widest cable at the bottom to the narrowest at the top. Between cable repeats there are decreases so when you work the next cable you are working a smaller cable. 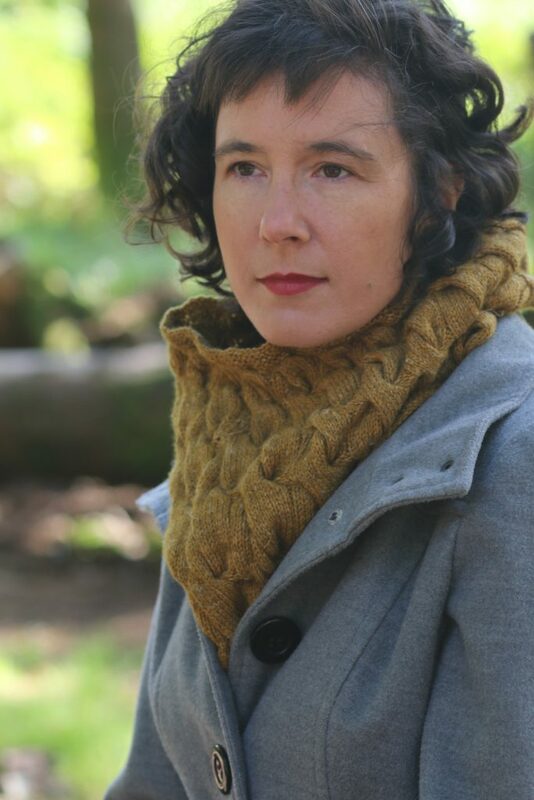 The modular nature of the cowl makes it easy to change the details; leave out a cable for a narrower cowl, remove a repeat at the start or end to make a shorter cowl. Or if you want it really huge you could also add more cable repeats! The cowl as written uses up every bit of 5 skeins so if you want to have a little bit of wiggle room you might want to add a sixth skein. 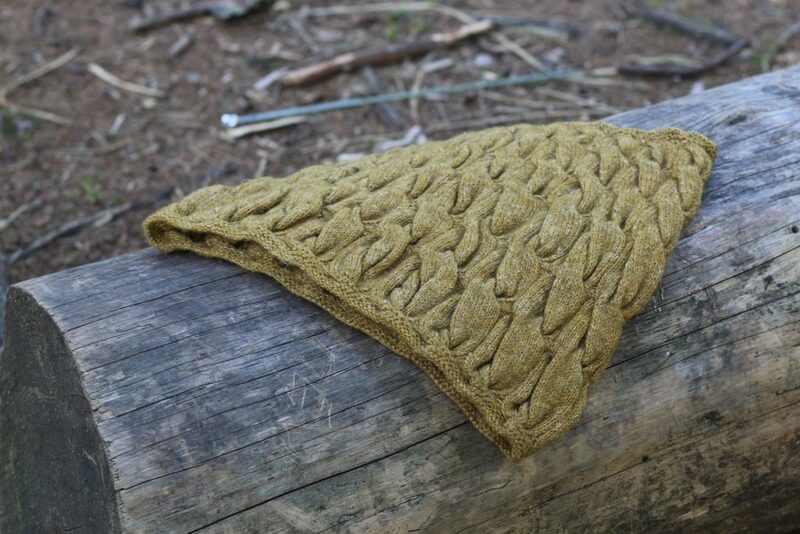 This cowl is deep enough that you can easily pull the back up to form a hood. Perfect when you get caught in a snow storm (not that that’s very lightly here in Ireland!). I’ve put another video together introducing the cowl, I’m definitely getting sillier! !